On a quiet weekend for Maree Oranmore FC, just 3 matches played on Saturday as the parish prepared for the big match on Sunday! Maree/Oranmore FC would sincerely like to congratulate Oranmore/Maree Hurlers on their marvellous All Ireland win in Croke Park last Sunday. A marvellous achievement. 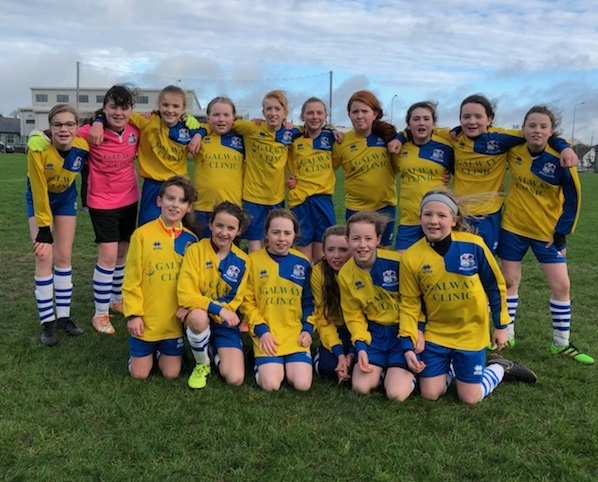 This Sunday at 11am sees our club compete in our first Cup Final of the season when our u12 girls take on Craughwell Utd in the u12 Div 1 Cup Final. We wish Pat Costello and his charges the very best and community support would be appreciated. Sunday also sees our Adult Premier side take on Galway Bohemians in the League in Oranmore with a 2pm kick off. Other club sides include both of our u14 club sides and four of our u12 club sides in competitive action while our u18 girls and u16 boys are in action on Sunday.